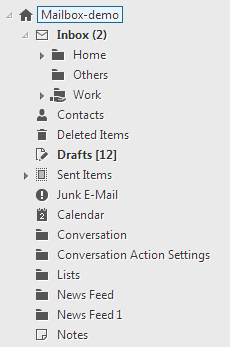 The Folder tree lists the mailboxes folder hierarchy. Right clicking on a folder presents a menu containing options that can be performed within the folder tree. Please refer to the table below for information about the right click menu options. Used to create a new folder under the selected folder. Note: Please inquire with your server administrator if sharing is available.